As debate intensifies over rising unemployment in the country, the Modi government claims to have generated over 3.79 lakh jobs between 2017 and 2019 in its various establishments, according to the interim budget for 2019-20. The government said it has generated 2,51,279 jobs in central government establishments between 2017 and 2018. This is estimated to go up by 3,79,544 on March 1, 2019, shows an analysis of documents of the interim budget, presented by Finance Minister Piyush Goyal on February 1. The data assumes significance as the Congress and other opposition parties have been targeting Prime Minister Narendra Modi over rising unemployment. The government has rejected the charges. Replying to the debate on the Motion of Thanks to the president's address to Parliament on Thursday, Modi cited data from provident fund, National Pension System (NPS), Income Tax filings and sale of vehicles among others to say crores of new jobs were created in the formal and unorganised sectors, including transport, hotels and infrastructure. Most of the recruitment was done by the Ministry of Railways, police forces and the direct and indirect tax departments. The budget documents give a sector wise break-up on how the jobs were added in central government establishments. It said Indian Railways will generate the highest number of jobs -- 98,999 by March 1, 2019 against its actual strength of 12,70,714 in March 2017. There will be 79,353 additional jobs in police departments by March 1, 2019, up from the actual strength of 10,52,351 as on March 1, 2017. Similarly, jobs in direct tax departments will touch an estimated 80,143 by next month as against 50,208 in March 2017 (an increase of 29,935 jobs). In indirect tax departments, the government said there were 53,394 employees in March 2017. This went up to 92,842 in March 2018. It also gave the same figure (92,842) as the estimated strength of indirect tax establishment as on March 1, 2019. The Ministry of Civil Aviation will have 2,363 more personnel by March 1 this year against its actual strength of 1,174 in March 2017, the document shows. 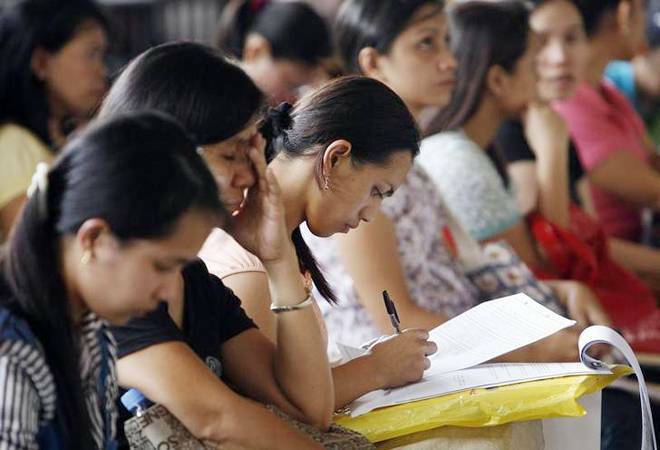 Similarly, for the Department of Posts, it said there will be 4,21,068 personnel on March 1, 2019 as against its actual strength of 41,88,18 in March 2017. In the Ministry of External Affairs, 11,877 people are estimated to be working by next month as against its actual strength of 10,044 in March 2017, which was estimated to have reached 11,870 in 2018.